Bacolod is being known as the city of smile. This label makes me think that it's probably the reason why tourists keep coming back and gets pleasure even to those called "The Ruins" in Talisay City, Negros Occidental. Yes, it's called ruins but it's not totally ruined for there are still remnants after it was burnt. 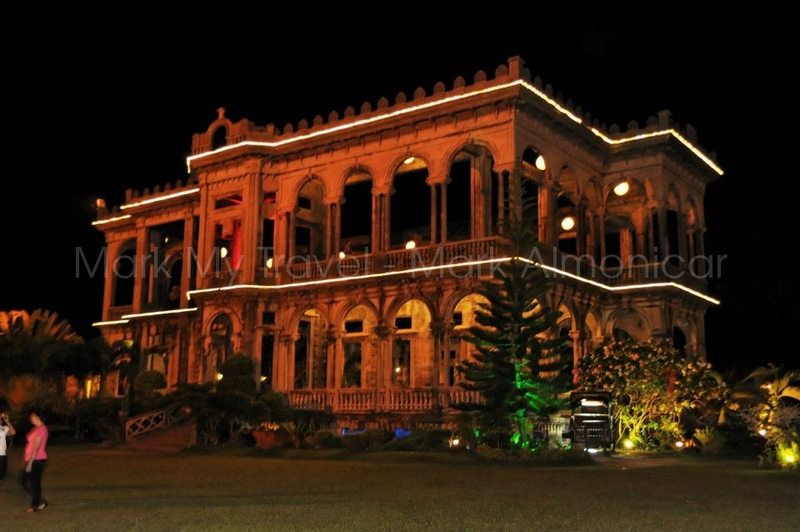 The mansion of Don Mariano Ledesma Lacson stands still after the fire consumed the structure. In fact, if you don't know about “The ruins” and seen it only in pictures; you might think they just started building it. Well, when I visited there, I’ve witnessed how the present generation of Lacson maintains the old structure to make it stay beautiful. We visited the place at night after a long trip from other neighboring provinces. In fact, it’s little scary to be there at night. Well, I just got so imaginative mind at that time. This is the result of keep thinking about spirits. I didn’t mean to but it’s our normal speculation to places like that. Let me remind you guys, this is not a horror story. Lol! In fact, we can consider this a love story if you hear the tourist guide telling their visitors that it was built for the first wife of Don Mariano. It is probably his way of showing his great love for Maria Braga –his first wife. Now, how to get there? Well, there are at least 3 options to reach “The Ruins”. The United Backpackers chose to hire a tricycle to reach the place as soon as possible for it was too late when we reached Talisay City. Also, it’s a way too cool to pay for cheaper fare, right? 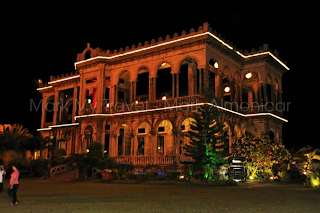 Drop me a message below to get details on visiting comfortably the Ruins in Talisay City, Negros Occidental. This is just an amazing place. I love Philippines, hope to visit here soon with my family. Okay, thanks for the correction. Appreciate it.